If you open the pages of any Lebanese newspaper it's hard to miss the abundance of stories about the influx of refugees from neighbouring Syria. The war that has devastated Syria for the last six years has led to a humanitarian crisis in the region – it has had huge ramifications for Lebanon and the issue affects every topic, from the country's economy to each city's provision of basic services, such as electricity, sanitation, waste collection and water. Without doubt, the 1.5 million displaced Syrians now living in Lebanon have put the country's water supply under mounting pressure: UN-Habitat estimates that demand on water services has increased by almost 30 per cent since the crisis began. 3.7 million people – both Lebanese and Syrian – are in water need (p157). But the backstory to Lebanon's water crisis far predates the influx of Syrian refugees. Decades of civil unrest and underinvestment, followed by episodes of conflict driven by regional and sectarian tensions, have splintered towns and cities. This has damaged the country's existing water infrastructure. The country's water system has been left vulnerable as the country finds itself entrenched in one of the most pressing humanitarian crises of our time. How has Lebanon responded? We consider how efforts to meet the water needs of host communities in Lebanon have evolved over time. We also examine how the initial humanitarian response has developed since 2011 in partnership with state, city and water sector stakeholders to meet the immediate needs of host and displaced groups, while also building the resilience of service provision to withstand future shocks and stresses. "It is a miracle that any water comes out of the taps here"
Long before the arrival of Syrian refugees, trust in public institutions – including water utilities – had been eroded by regional and sectarian tensions and strained state-citizen relations. These and other factors – such as dilapidated infrastructure, patchy data on water access, unregulated property development and informal urbanisation – have undermined urban planning processes and efforts to ensure reliable water provision. The result is a country with a highly fragile water system: Lebanon, while water is plentiful compared to other countries in the Middle East and North Africa (MENA) region, experiences chronic water scarcity. The crisis is experienced in different ways across the country's water-stressed towns and cities. This affects the entire population – from wealthy Lebanese living in Beirut's central district who supplement their daily use with water from private vendors, to Lebanon's marginalised communities drawing on groundwater (often heavily contaminated), down to the poorest refugee families living in and around camps who rely on unregulated informal water providers and water delivered by humanitarian agencies. Longstanding, committed efforts of humanitarian actors have done much to support host population and refugees since 2011. But efforts by the Lebanese state to coordinate the work of diverse agencies did not begin until 2015. Since then, more coordinated approaches have begun to emerge where crisis-driven humanitarian responses are complemented and reinforced by stabilisation efforts that include development and urban planning interventions. Combining these approaches supports the reliable provision of basic services in the longer term while building resilience to future shocks. By reflecting on interviews with key state and non-state stakeholders involved in interventions focused on improving water services in Lebanon, we explore where humanitarian responses and stabilisation efforts meet; where state and non-state actors are working together to help realise the basic human right to water for Lebanon's highly diverse host and displaced populations. According to the OECD, stabilisation is the ability of households, communities and states to respond to and recover from shocks, while positively adapting and transforming their structures in response to long-term stresses (PDF). In the context of the Lebanese Crisis Response Plan (LCRP), stability projects aim to: (i) restore and expand economic and livelihood opportunities for vulnerable groups; (ii) restore and build resilience in equitable access to and quality of sustainable public services; and (iii) strengthen social stability. One of the world's most urbanised countries, Lebanon covers a quarter of the area of Switzerland but has a population three quarters its size. In this densely populated country of 5.9 million people, 90 per cent live in urban areas. The population has grown by a quarter since the Syrian refugee crisis began; 1.5 million of the populace are Syrian refugees who arrived after 2011, with 85 per cent of these living in cities and towns. Before the Syrian crisis began, the movement of Syrians to and from Lebanon's urban areas was relatively fluid. Syria has had long-standing political influence in Lebanon: the border between the two countries allowed Syrians to travel to towns and villages for seasonal work, such as fruit picking in the Bekaa Valley, while wealthier Syrians set up businesses or bought properties in cities across the country. This flow of Syrian refugees into Lebanese towns and cities continued with relative ease towards the beginning of the Syrian crisis during 2011 and 2012. But as the conflict escalated and it became clear that many more Syrians would be displaced, integrating refugees into Lebanon's cities posed a greater challenge. The continued impact of ungovernable Palestinian camps, that have at times been militarised, has left the Lebanese government unwilling to allow the development of any Syrian camps or settlements with permanent infrastructure. As a result, most displaced Syrians are dispersed across cities in subdivided houses or non-residential buildings such as garages, or around long-standing urban Palestinian refugee camps on the edges of cities serviced by humanitarian agencies and NGOs. Despite being one of the world's most urbanised countries, Lebanon has a deepening water crisis. The country's geology and topography means it is relatively water-rich, with mountain snowcaps and aquifers storing significant freshwater. More recent research states that only 3 per cent of all Lebanon's sewage receives secondary (biological) treatment before being release into the local environment (groundwater, streams and the coastline). But the amount of water available per capita presents a different reality, showing that Lebanon experiences chronic water scarcity. And despite achieving Millennium Development Goal 7c, which aimed to halve those without access to an improved water source, provision across the country is patchy and sporadic. Throughout the year, all households – rich and poor – supplement their household supply to varying degrees and depending on the city they live in. In the dry season, from August to December, electricity outages – preventing municipalities from pumping water – can affect supply at any time, and over three quarters of the population have limited access. In Beirut, for example, some households have access for three hours a day and rely on water storage tanks. The MENA region has some of the most water scarce countries in the world. While in 2014 Lebanon had an amount of total renewable freshwater resources per capita of 770 m3 per year, Jordan had only 120-200 m3 of renewable water resources per person per year (FAO 2014; Mercy Corps 2014). Anything under 1,000 m3 per year is considered as experiencing 'high water scarcity'. But it's important not to reduce water scarcity to water resources available. Scarcity of water actually results from a combination of physical, institutional and technical factors: 1) physical scarcity in availability of freshwater of acceptable quality with respect to aggregated demand, in the simple case of physical water shortage; 2) scarcity in access to water services, because of the failure of institutions in place to ensure reliable supply water to users, or to the inability of households to afford a connection/the costs of water; 3) scarcity due to the lack of adequate infrastructure (irrespectively of the level of water resources) due to financial constraints. In the last two cases, countries may be unable to capture and distribute resources due to limited financial resources, a lack of institutional willingness, or a lack of capacity to maintain and manage them appropriately. Groundwater is an important source of water across Lebanon. It accounts for 50 per cent of irrigation water and 80 per cent of potable water (GVC 2016; Nassif 2015). An estimated 20,000 largely illegal boreholes in Greater Beirut and Mount Lebanon provide water to households across the income spectrum. Utility-delivered drinking water is treated before distribution. However, groundwater quality is heavily compromised by untreated wastewater, high salinity in coastal regions, and the fact that only seven per cent of wastewater is treated before being released to the environment. Given the water shortages that affect the main network, households tend to store water in tanks, and might mix utility and groundwater sources, which increases the chances of contamination and makes identifying the contaminated source difficult. National government convenes the Lebanese Crisis Response Plan (LCRP). It's delivered by UN agencies, donors, the World Bank and NGO partners. Municipalities provide a useful entry point for humanitarian agencies to deliver humanitarian and stabilisation programmes to urban host and displaced populations. They have also been the focal point for initiatives to develop urban planning processes. The Ministry of Energy and Water is responsible for the policies that define the water sector and the services delivered by the four regional Water Establishments. Four regional Water Establishments deliver water services and wastewater treatment according to the policies developed by the Ministry of Energy and Water. International humanitarian agencies coordinate and deliver humanitarian aid to Syrian refugees living in informal settlement camps outside the cities. Under the LCRP these agencies are increasingly working on stabilisation programmes that aim to improve the delivery of basic services for host and displaced populations. This includes working with ministries on the development of infrastructure, water resource management, and building capacity of utilities. International development agencies continue to work directly with the national government on the development of infrastructure and institutions for the governance of basic services, natural resources and delivery of service. The private sector/vendors/entrepreneurs backstop basic service provision where there are public service deficits such as electricity and water, or where there is a preference for private services, such as education. The informal sector also backstops basic service provision. There are an estimated 20,000 largely informal boreholes that supplement the water needs of households. Local NGOs and political groups such as Hezbollah provide informal basic services to impoverished households. In response to the Syrian crisis, ongoing humanitarian efforts by state and non-state actors have worked to develop acceptable water provision for host and displaced populations in Lebanon. These efforts have gone beyond the more 'standard' response of humanitarian agencies, such as physically delivering water in trucks to refugee camps; the protracted nature of the crisis has pushed these agencies to develop complementary stabilisation efforts. These include infrastructural interventions in an effort to meet the longer term needs – such as upgrading water pipes or setting up wastewater treatments systems to treat water from boreholes. But achieving real change calls for a coordinated approach where humanitarian and development agencies, civil society, local and national government, and the informal and private sectors collaborate to develop water services that can not only deliver reliable water supply but also withstand ongoing stresses including, but not limited to, the refugee crisis. Building relationships between citizens and the state, and host and displaced groups. Given the absence of urban planning processes and national policy frameworks, cities and municipalities have taken very different approaches and often carried out uncoordinated responses to planning for the basic needs of host populations and, more recently, displaced people. The examples below demonstrate how different the experiences of diverse groups of refugees can be in each city depending on their origin, status and where they first find shelter. Some municipalities were quicker to implement night curfews that keep refugees inside after a certain time, while some actively remove refugees from their municipality, and are unwilling to engage with humanitarian agencies to support displaced people. Others are more proactive in managing the inflow of refugees and take a collaborative approach when planning for the needs of displaced people alongside host populations. This municipal mayor was unwilling to cooperate with any state or non-state agencies seeking to support refugees in the municipality. He is also openly pursuing a policy of forcibly evicting Syrian refugees, with the explicit intention of removing all refugees. Bourj Hammoud is home to generations of refugees from Armenia, Afghanistan, Iraq, Sudan and now Syria. With 20,000 Syrian refugees, it has more than any municipality in Beirut. Bourj Hammoud began as an informal settlement for Armenians but has been incorporated into the city and become its own municipality. The initial humanitarian responses to the Syrian crisis were uncoordinated and chaotic, and links between water utilities and local government were weak. Municipal authorities, willing to support the response, often talk about having the capacity but not the resources to respond to local needs. Meanwhile humanitarian agencies are concerned about their capacity to deliver programmes that are developed by global agencies and so may not respond accurately to local needs. Growing pressure on services, combined with the misapplication of humanitarian programmes that do not respond to the needs of host and displaced populations, can provoke tensions between different stakeholders, as well as between host and displaced groups. Like all basic services, water and sanitation cannot be improved in isolation, they require an integrated approach: water and sanitation are directly linked and are also connected to services such as wastewater treatment, energy provision and refuse collection. 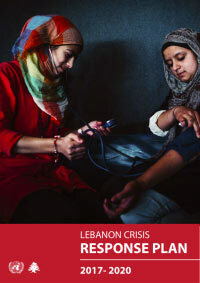 Following almost five years of uncoordinated response and as the cumulative effects of the crisis took its toll, the government launched the Lebanese Crisis Response Plan (LCRP). This plan channels international and national finance towards specific interventions and coordinates efforts of state and non-state actors. Under the plan, national ministries charged with addressing humanitarian and development challenges coordinate efforts across local NGOs, INGOs, development and humanitarian agencies, the private sector and academic institutions. The plan identifies ten key sectors, with each headed by a national ministry and supported by a UN humanitarian agency. The water and sanitation sector is overseen by the Ministry of Energy and Water (MoEW), and supported by UNICEF. These two bodies work directly with water establishments, providing strategic and financial support to improve water services across the four regions. This structure can also support the efforts of municipalities around areas where they have jurisdiction such as education, energy, identifying local health and social needs, housing and informal settlements, social stability and mitigating social tensions, and some wastewater treatment. Since 2015, humanitarian agencies have embarked on a range of integrated and area-based (i.e. participatory, integrated and within a specific geographic region) urban planning processes that collect and centralise data on local needs and can prioritise and harmonise responses by non-state actors. Taking a grassroots perspective, agencies such as UN-Habitat have worked directly with local municipalities to develop neighbourhood profiles and strategies for municipalities such as Bourj Hammoud so that they can be adopted, used and developed as the foundations for integrated urban planning in the medium to long-term. UN-Habitat has been able to adopt a relatively neutral role, to depoliticise the data collection process. Although municipalities are often underfunded, granted little autonomy, and undermined by their scale (there are 1,030 municipalities in Lebanon), they have provided useful platforms for enabling consultation with agencies involved in upgrading water and sanitation provision. Some humanitarian agencies have sought to overcome the issue of scale by working directly with federations of municipalities – these are formed by two or more municipalities, and there are 37 federations in total. Meanwhile, agencies such as World Vision, which is only able to work directly with municipalities on youth and education programmes, have used this work as an entry point to explore participatory planning processes with local youth groups, as a means of exploring local needs, and has created participatory relationships between municipalities and youth in the community. Municipalities on the edges of cities and in more rural parts of the country fill service gaps and continue to provide water and sanitation services where utilities have not extended or consolidated provision. The long-term aim is to consolidate provision by water establishments across the four regions. Challenges persist in informal settlements that were predominantly home to Palestinian refugees but which now house some of the poorest unregistered Syrian refugees. There are 350,000 refugees in Beirut, and the majority are thought to live in and around the city's informal settlements (Fawaz 2015). 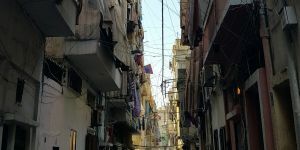 Certain Palestinian settlements in Beirut are not connected to the Beirut Water Establishment, and rely on decentralised water systems that use groundwater, often contaminated or highly saline. These systems provide water to a small network of households. In addition, water is bought from vendors, and some free water is provided from public tanks within the settlements by Hezbollah. Although Hezbollah provides extensive social and public services to impoverished groups in the city, their political and religious orientation means these services are limited to some groups and undermine the state. Given Hezbollah's support for Syrian President Assad and the fact that many of the Syrian refugees in Lebanon come from oppositional strongholds, their social and basic services are unlikely to serve most Syrian refugees. Some smaller NGOs working in these settlements provide chlorination tablets to address the contamination of groundwater sources or to renew small system infrastructure. But there are significant political barriers for humanitarian agencies working directly with the Lebanese government to be able to recognise and respond to the needs of impoverished people in these communities, given the political status of the Palestinian refugee camps. The role of informal services in absorbing and responding to the needs of impoverished host and displaced communities should not be overlooked. Indeed there is much to learn from informal self-help responses in the context of humanitarian crisis (see Mackie et al 2017). Informal and illegal connections to small groundwater-fed water systems serve many of the poorest. The scale and nature of informal service provision is poorly understood, and its illegal status makes it difficult for state and non-state agencies to support or engage with provision. In some instances, collecting data on illegal housing could lead to families losing their homes. Recognising and understanding the role of informal markets and providers is a first step. But given engagement can be politically sensitive, it could be detrimental to low income and displaced households if not undertaken with care. Water scarcity in Lebanon affects everyone, and everyone relies on more than one water source. Supplementary water sources vary: wealthy households in Beirut will buy water from vendors for washing and household use, and bottled water for drinking; modest households in the Bekaa Valley might share a groundwater source with neighbours for non-drinking water; the poorest families living in camps across the country will rely on any source they can access and afford. In some parts of the city, this includes water from points set up by local NGOs and Hezbollah. Improvements to Lebanon's water services will be achieved incrementally, and driven by strong institutions that work with national ministries, international humanitarian and development agencies, municipal authorities and local communities. Law 221 decentralised responsibility for water service provision to four regional water establishments, although planning and policy responsibility remained with the MoEW. The intention was that the four water establishments would consolidate provision, wastewater management and irrigation across their geographies. But the water establishments have struggled with revenue collection, the fallout of poor water resource management, and the prevalence of informal water sources and providers. In practice, municipalities continue to provide water services in some of these regions. Due to capacity and institutional constraints, water establishments have not been able to improve cost recovery methods to invest in infrastructure and extend service provision sufficiently for the water network to reach all citizens. The MoEW has been working with UNICEF and international agencies to build the human and financial capacity of water establishments and upgrade water infrastructure, but they still struggle to collect revenue and provide a consistent service. Only the Beirut and Mount Lebanon Water Establishment is financially autonomous. With a collection rate of 80 per cent, UNICEF reports it being by far the best performing utility in Lebanon. The South Lebanon Water Establishment follows, with a 65 per cent collection rate. Under Law 221, most municipalities handed over water provision responsibilities to the water establishment, or work in conjunction with it to deliver water services. But the situation is very different in the Bekaa Valley and North Lebanon. More than 100 out of the 200 municipalities continue to provide water services in parts of the region that the Bekaa Water Establishment has yet to consolidate. A recent survey conducted in North Bekaa by Italian NGO GVC estimated 75 per cent of people connected to the public network are unsatisfied with the services provided (GVC 2016). Revenue collection is poor: Bekaa Valley has collection rates of only 37 per cent, and North Lebanon 58 per cent. The current crisis could have been an opportunity to empower the water establishments and consolidate the sector, but progress thus far has been slow (see Diep et al 2017). Under the LCRP, humanitarian, stabilisation and development improvements by state and non-state agencies are coordinated by national government, a shift seen by many as a major step forward. But national oversight means water establishments do not have the autonomy to work directly with humanitarian agencies or to pursue any programmes that have not been sanctioned by the ministry. Indeed, humanitarian and development funds can rarely support sub-national institutions, including water establishments, municipalities, or local processes that provide or support water and sanitation services, unless directed by the national ministry. In practice, this can slow local responses, and sometimes leads to tension between national and subnational offices. Water, sanitation and wastewater treatment infrastructure was devastated by the 2006 conflict with Israel; almost all infrastructure in southern Lebanon was destroyed. This affected water storage facilities, water treatment points and water pipes that deliver water to the general population. Water is of poorer quality, is lost or stolen, and is difficult to store during the dry months. As a result, many of the development and humanitarian agencies that are currently working on the response to the Syrian refugee crisis (from 2011 onwards) had already worked on reconstruction efforts from 2006. Despite post-war reconstruction efforts, in 2010 many people in Lebanon still did not have access to acceptable water services. Nonetheless, most humanitarian agencies were winding up or reducing their humanitarian programmes in Lebanon just as the conflict in Syria began. Humanitarian and development agencies renewed their efforts as the crisis escalated, but efforts were uncoordinated until the LCRP was developed. Lebanon is a upper middle-income country and many agencies did not transition their humanitarian programmes into longer-term stabilisation and development programmes partially because of the country's OECD status. USAID is a notable exception, having bridged both crises with a consistent budget to support national government in the development of water, sanitation and wastewater infrastructure. When the first refugees from Syria arrived in 2011, the sector was still undermined by severe infrastructural deficits. Water utilities had not been rehabilitated following the conflict, and many had not extended pipelines to all parts of their jurisdictions. The ongoing political crisis makes it difficult to reform the laws and policies that govern the sector. However, the experience of USAID demonstrates there is a role for some development and humanitarian agencies to upgrade, improve and extend infrastructure for the delivery of water and wastewater treatment, and to strengthen local capacity to recover cost and build more sustainable water services – if they have sufficiently flexible funding to be able to bridge crises. This would not, however, extend to semi-permanent camps as it is politically unviable to invest in permanent infrastructure that could legitimise these – whether Palestinian or Syrian. Humanitarian programmes that provide water and wastewater services to Syrian camps continue to deliver and remove water using trucks. Data has the scope to drive strategic and disruptive change, even in the context of crisis. Disaggregated demographic data is essential for understanding who lives where in each city, and more importantly their basic needs. Equally, it has the scope to disrupt fragile social relations, as demonstrated by the reluctance of the Lebanese government to undertake a census during extended periods of civil war and unrest. Given the impact of the extended period of conflict and unrest on public institutions, there is limited data on water resources and access to basic services in the public realm. However, global initiatives such as the Millennium Development Goals (MDGs) and Sustainable Development Goals (SDGs) provide the imperative for countries to collect data on water access. Although MDG data that has been aggregated to the national level is not detailed enough to be useful for local-level planning, some of the SDG indicators provide opportunities to develop localised data sets on water quality in cities, informal settlements and refugee camps. Furthermore, the extended presence of UNICEF as a support institution to the MoEW has presented opportunities to collect data on water resources and quality that could inform investment and water management decisions. The last official Lebanese census was conducted in 1932 and informed the development of a secular state that distributed power across religious groups. No further censuses have been undertaken given that the data might ignite religious tensions, exacerbate social unrest, or enflame fragile state-citizen relations. As part of the LCRP, UNICEF has been working with the MoEW to collect and support data collection on access to water. With more detailed data sets on water access and quality, the MoEW could work with water establishments and agencies seeking to support the sector to make more targeted investments in water storage, irrigation programmes and wastewater treatment. Percentage of population in Lebanon using safely managed water disaggregated by settlement (baseline for SDG 6.1 at a national level for Lebanon). The results clearly demonstrate that although Lebanon has a high proportion (96%) of households accessing an improved water supply (except IS’s), and that supply is generally accessible (80%) and available (95%), the high faecal contamination levels (47%) make the water unsafe to drink and therefore compromise accessibility to safely managed drinking water supply. - WHO/UNICEF (2016), Joint Monitoring Program Lebanon water quality survey. The SDGs have brought more detailed indicators for agencies and government, enabling them to analyse water quality with some degree of accuracy. Although MDG reporting suggested that 97.7 per cent of people in Lebanon had access to an improved water source, recent data collection by the WHO-UNICEF Joint Monitoring Programme for Water Supply and Sanitation has revealed domestic water supply being far below water drinking standards, particularly in informal refugee settlements. Meanwhile, given that water scarcity in Lebanon is largely due to institutional and infrastructural challenges, improved data on water resources, potential groundwater recharge points, and the impact of inadequate wastewater treatment could facilitate more strategic investment by donors looking to invest in infrastructural projects within the water sector. 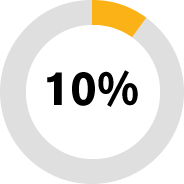 Humanitarian agencies can play a support role in collecting and mediating the handover of data to public institutions, enabling strategic evidence-based planning decisions based on the needs of host and displaced populations. The conflict and civil unrest in Lebanon has led to distrust in public institutions, and accountability has been undermined. Generally, there is a preference for private services: over two thirds of the population send their children to private schools and many households use public and private water and energy sources. Given the lack of trust in public institutions, it is difficult for some public institutions to recover costs and revenue. This has led to a vicious cycle of underinvestment and poor water service delivery. Efforts to respond to the humanitarian crises were initially criticised by host populations for only focusing on the needs of displaced people, and overlooking the unmet needs of host populations. This undermined relationships between groups of citizens, and particularly between host populations and refugees. The LCRP aims to meet the unmet needs of 3.3 million Lebanese and Syrian refugees through humanitarian and increasingly stabilisation interventions, through attempts to build social cohesion and address social tensions. Social cohesion is difficult to define and measure, however, and further research is needed on how this is impacting different groups in the long term, in addition to positive case studies. The five fundamental priorities discussed here are not exclusive to Lebanon. Established global North-South divisions are becoming less relevant in terms of the distribution of humanitarian crises and natural disasters. However, humanitarian crises and natural disasters can exacerbate challenges in cities where urban poverty, unplanned urbanisation and poor service provision is the norm. Traditional emergency humanitarian responses have developed into stabilisation efforts given the protracted and urban nature of the crisis in Lebanon. This transition highlights the importance of aligning humanitarian efforts with development processes and urban planning. Challenges facing cities in crisis will only be addressed where longer term strategic urban planning processes are in place, which requires a participatory, joined-up approach that is coordinated by all state and non-state actors. The Syrian refugee crises demonstrates that municipalities, mayors, NGOs, INGOs, informal vendors, UN agencies, national government, the private sector, water utilities, development agencies, and research institutions are all playing a role in efforts to improve access to water services. And yet, this is just one sector. Coordinating and aligning the efforts of these institutions in a context as challenging as Lebanon has taken time. State and non-state agencies are taking on new roles in an attempt not only to meet the immediate needs of all of those living in Lebanon today, but to reduce the impact of future urban crises.